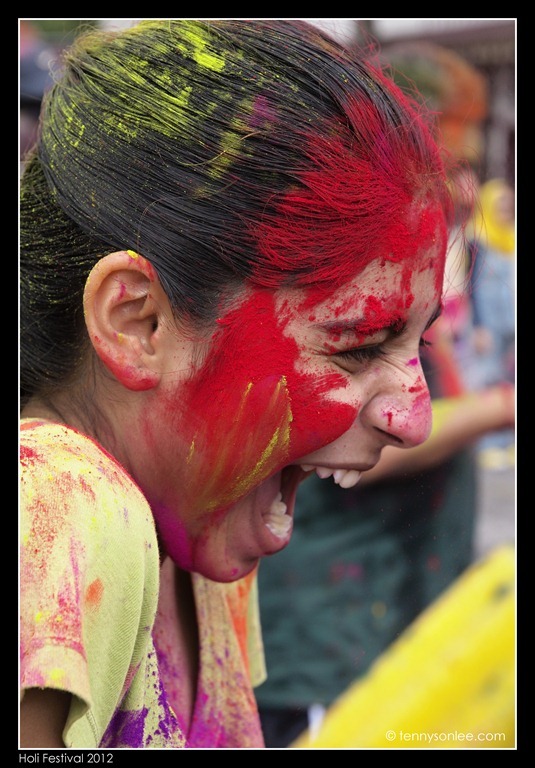 “Happy Holi” to those who get themselves blessed in the fun festival of colour at Shree Lakshmi Narayan Temple (Kuala Lumpur) just now. 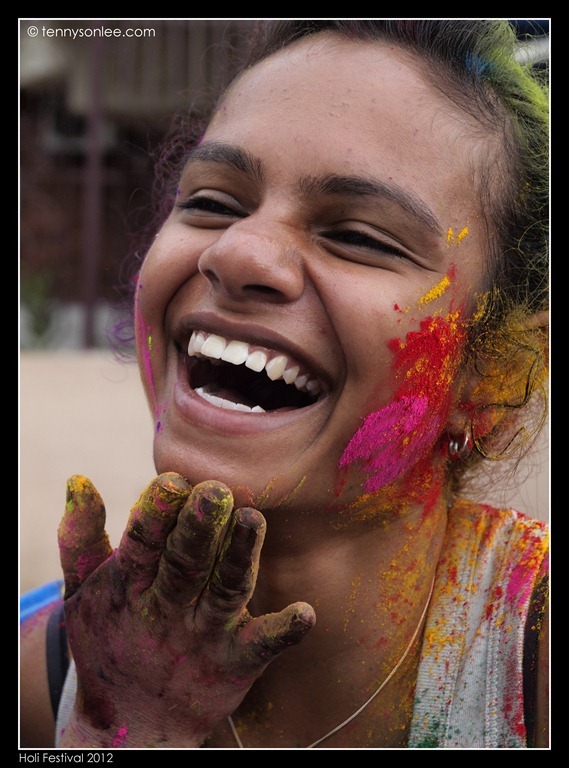 This was our first visit to the local Holi Festival. It was AWESOME!!!!! Christine and I rushed from morning appointment and manage to reach by 12 noon. Everyone looked ‘clean’ so we know we have not missed the event. 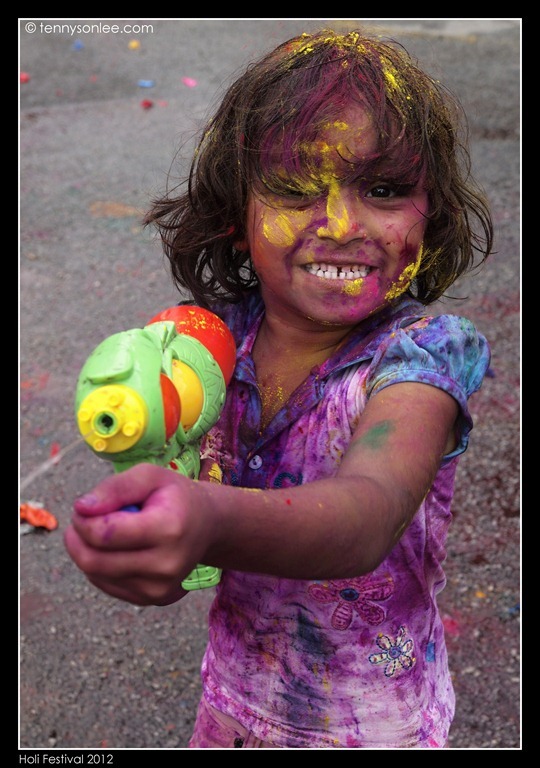 We still have time to purchase some ammunitions (‘coloured powders’) and water gun. Later on we found that the water gun was a little bit too small compare to the bucket and hose. The festival has been held on 8 March. Today’s event was organized by SDS Youth to let the youth having fun. 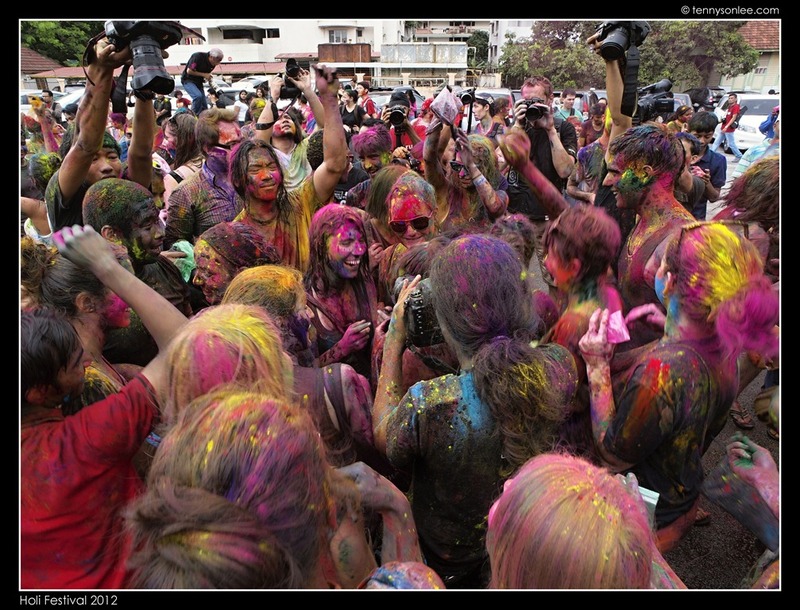 I am very glad to see all ages participated on the Festival of Colours without barrier. 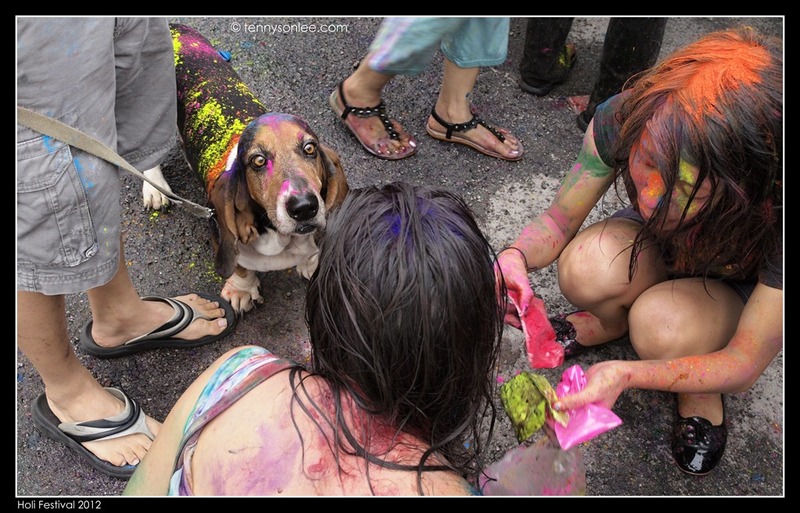 One visitor even brought the ‘holi dog’ to join the festival. The event started on 1pm sharp and more visitors streaming in the afternoon. 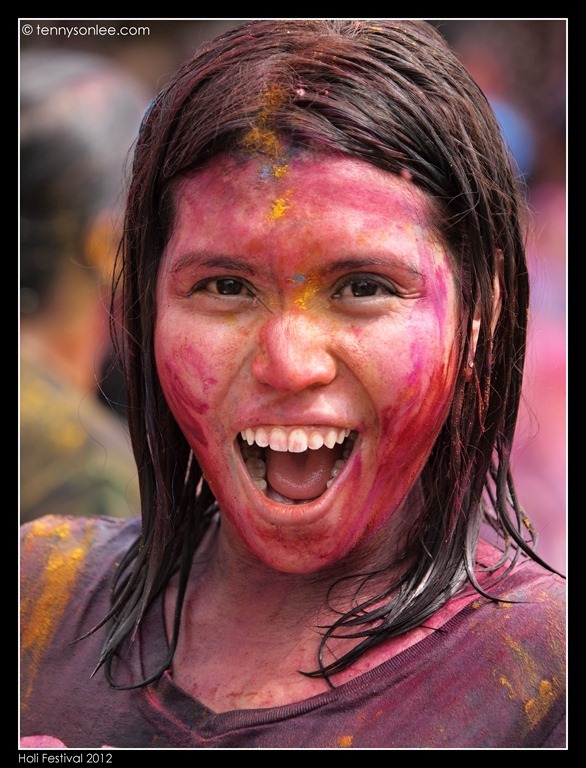 If you like to take pictures, the best is to use a wide angle lens and get close to the crowd. It was fun to experience the happenings on the ground. 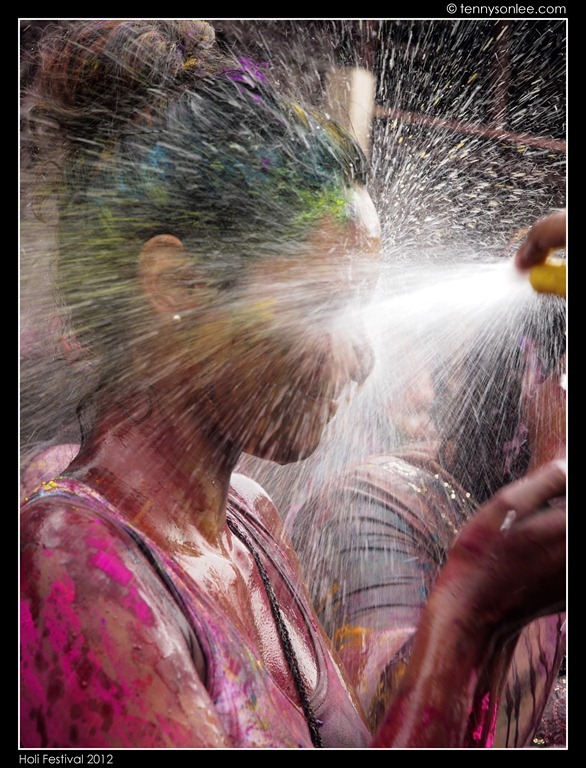 Let yourself be smeared by coloured powder and gotten wet. Luckily my camera was weather sealed so I don’t have to use shrink wrap or plastic bag to cover the camera. That was important to allow to me to have fun. I could rinse the colour off my camera but I couldn’t get rid of the colour on my face. 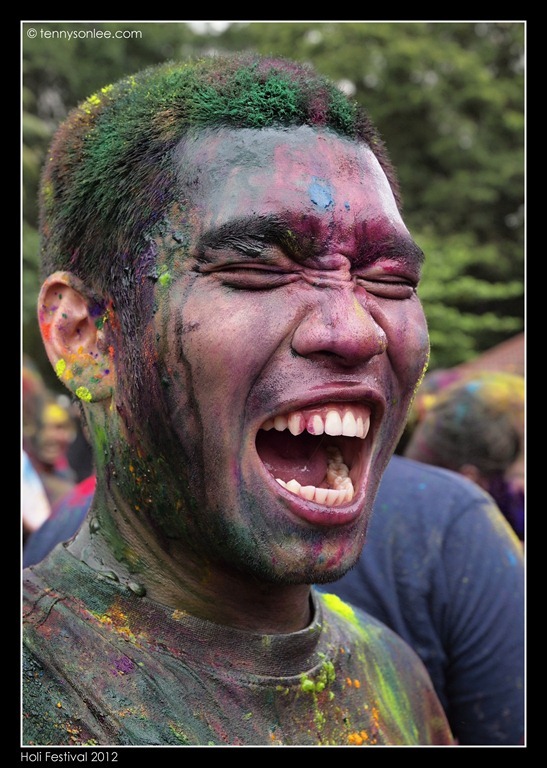 I suspect someone brought own ‘oil painting colour’ (not purchasing the water soluble powder sold at the temple). My forehead is now red and green in colour. 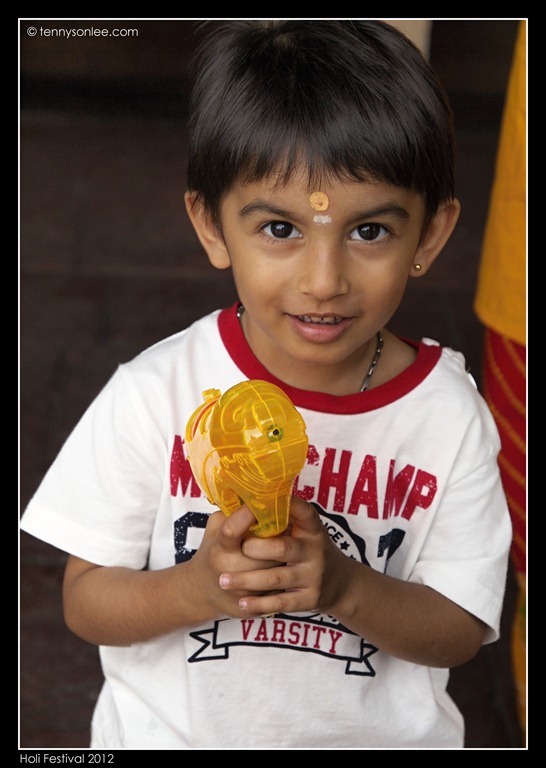 This entry was posted on March 18, 2012 by Tennyson. 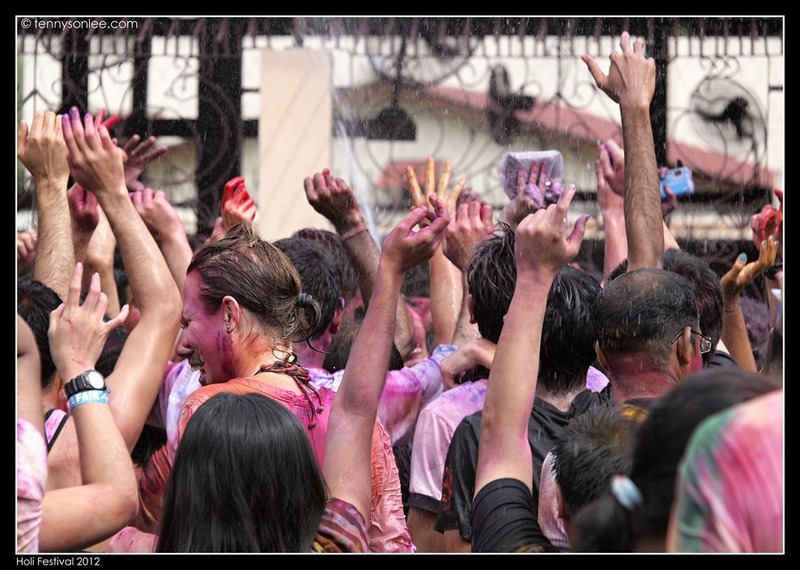 It was filed under Kuala Lumpur, Malaysia, Places and was tagged with colors, Festival of Colours, Holi, Holi Festival, Holi Festival 2012, Holi Festival Kuala Lumpur 2012, Shree Lakshmi Narayan Mandir Temple.